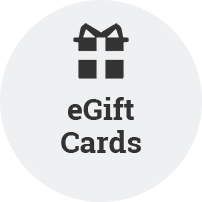 Now you can buy that special someone an eGift card and email or text it to them. No need to come into the restaurant. Just follow the simple prompts to customize your gift and "Voila!" instant gift. HOLIDAY GIFT CARD SALE: Now through January 1, 2019, you can get an extra free $5 gift card when you spend $50 on gift cards. If you would like to take advantage of this offer with our eGift cards, please email us at info@quarrykitchen.com to let us know. We will send you an invitation to the sale. If you prefer to stop by the restaurant we will add it for you manually to one of our gift cards. Also, consider us for your fundraising needs. All you do is sell our Quarry Kitchen & Spirits eGift cards using the info we provide you and earn a percentage back for your organization.